Technel Engineering has introduced the DEWETRON power analyzer with easy-to-use software and high performance. It’s easily customized to evolving requirements, saving time and money. 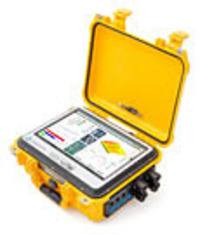 The OXYGEN Measurement Software ensures synchronous, gapless and reliable data acquisition from a vast variety of different data sources. All measurement data is displayed live while being stored time-synchronously. Multi-touch operation and intuitive drag and zoom gestures combined with state of the art software technology and agile software development frameworks ensures easy-to-use, quality and long term measurement solutions.